Our products are made with only the finest ingredients and are designed for you to have melt-in-your-mouth desserts on the table with minimal preparation time. Desserts are shipped frozen in individual 4 oz ceramic ramekins. Soufflés bake in less than 20 minutes and the crème brulee is thawed slightly before torching or placing under the broiler for 2-3 minutes to get that perfect caramelized top. 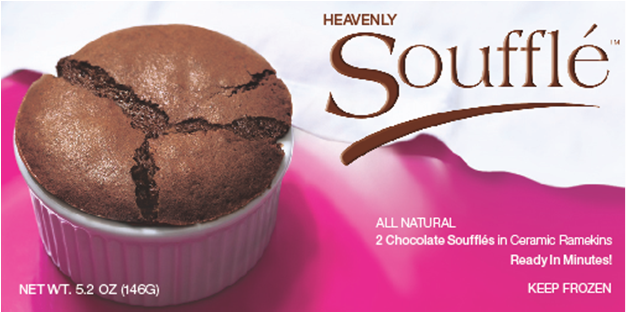 We use a high-quality Belgian chocolate to make this all-natural, melt-in-your-mouth, rich chocolate soufflé. Whether you want to dazzle your guests or enjoy it on your own, you will look and feel like a gourmet chef when you take the soufflé out of your oven. This dessert is gluten-free. 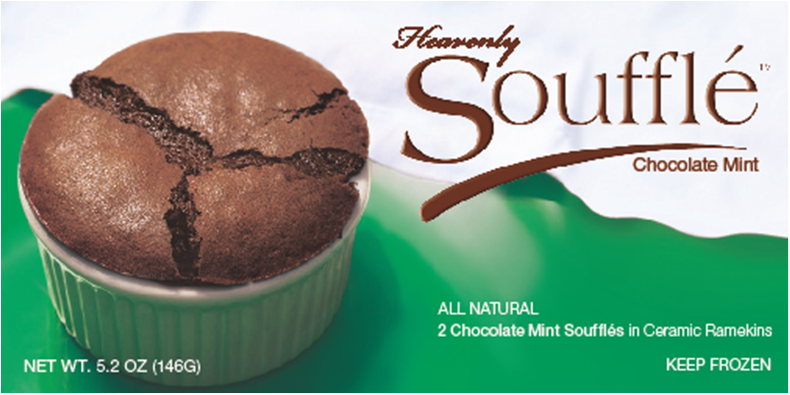 Awaken your senses with the cool minty flavor of this rich, dark chocolate mint soufflé. The aroma of fresh mint will fill your kitchen as you bake this special treat. This dessert is also gluten-free. No fuss, no mess…Look like a gourmet chef! For a unique twist on the traditional pumpkin dessert, pop one of our new pumpkin soufflés into the oven. In minutes, the enticing aroma of sweet pumpkin and spices will fill your kitchen. Impress your guests with a perfect soufflé. Great for any occasion or to add that special touch to your holiday meal. 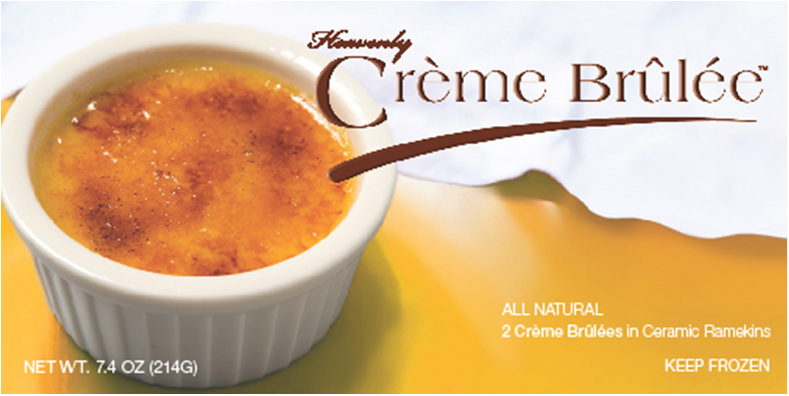 We are pleased to introduce our newest product, a Crème Brûlée. This all-natural dessert consists of a rich custard base and a hard caramel top created by caramelizing the sugar in the broiler or with a torch. With a hint of vanilla, our crème brulee offers the perfect balance of crunch and crème with each bite. A soufflé gets its magnificent but unstable height from bubbles of hot air trapped in its delicate structure. When the soufflé cools, the hot air contracts and the soufflé deflates.